Home | CIPA Members – Send us your member news, articles, upcoming events for November! CIPA Members – Send us your member news, articles, upcoming events for November! 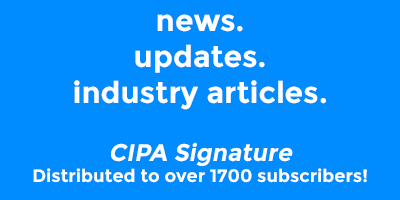 ASSOCIATE SERVICE PROVIDERS: Do you have an industry related article? Submit it to Veronica here! Do you have a new book hot off the press? Did your book recently win an award? Do you have a book signing or book launch coming up? Members or associate members, we want to hear from you! Our newsletter is delivered via email to over 1700 email subscribers and marketed online on our website, blog, Facebook, Pinterest, Twitter, and LinkedIn group. Get free marketing for your book, or your article. Associate members – this is also great publicity for your business if you send us an industry-related article. Regular Member News: The maximum number of words is 150. Please submit this as you would like it printed or it will not be posted in this edition. Submit it with a photo of yourself, or the cover of your book. Please also provide a link to where readers can purchase your book. Associate Members: Industry related articles (not promo pieces) should be no more than 500 words. Please include a photo of yourself and your bio. CIPA Participating Book Associations: News about upcoming publishing events and other items of interest to independent publishers from participating book associations also are accepted. Please note that these must be brief items with contact information. Sales pitches are more properly submitted as paid ads.